« Our eclipse viewing got a nice, free-to-read newspaper story after all! 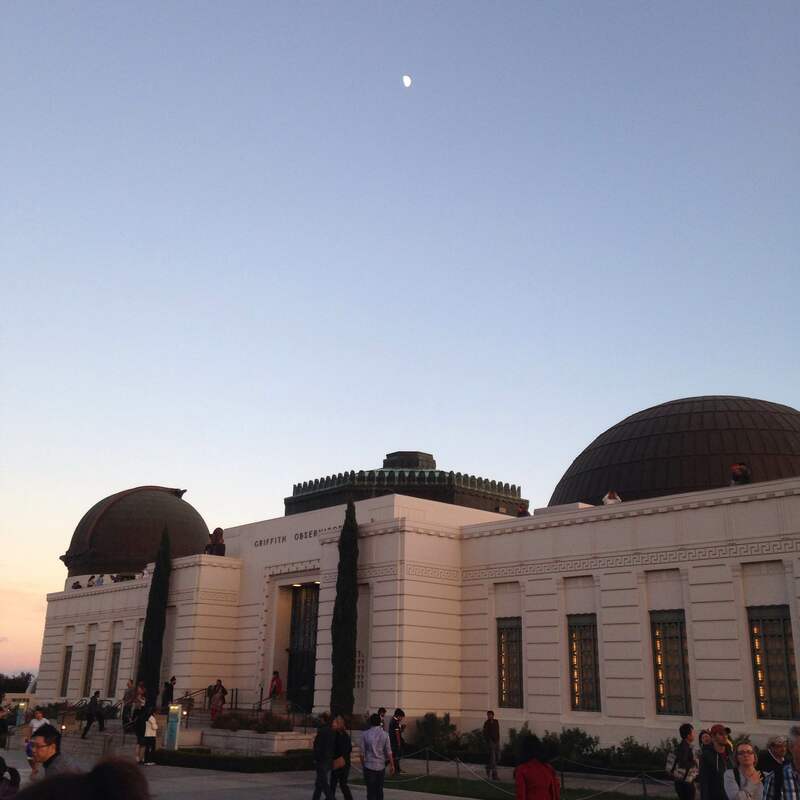 Yesterday London and I went to the Griffith Observatory for the first time in a while. We used to go fairly frequently between 2010 and 2012, but this was our first visit in 2014 and might have been our first visit since 2012. It had been rainy earlier in the day but the skies opened up nicely in the late afternoon, and the waxing gibbous moon was bright overhead. 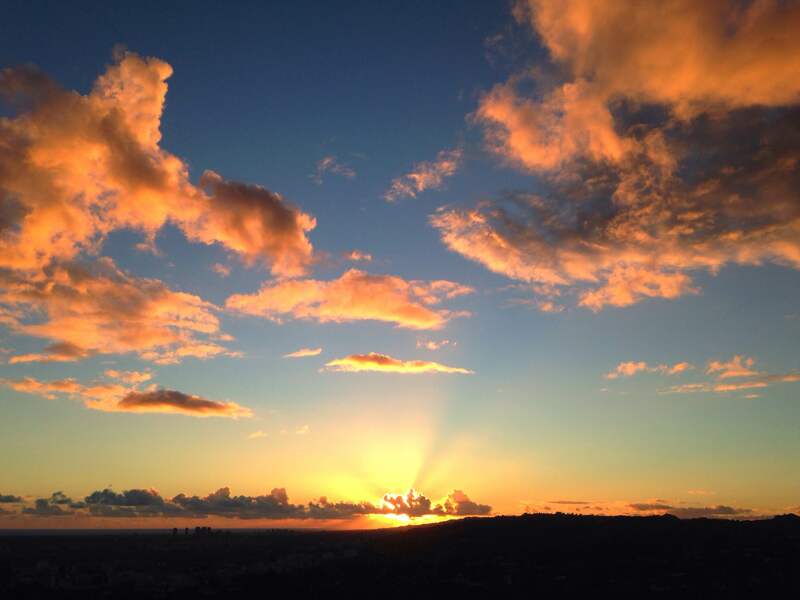 Happily there were still some clouds to the west and north, which made for a fantastic sunset. One of my favorite displays is the replica of Galileo’s ‘Old Discoverer’ in the Hall of the Eye. 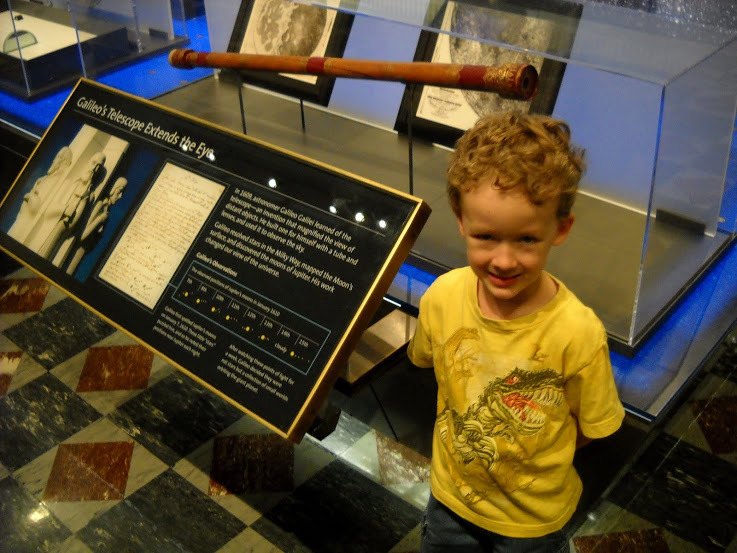 It is still amazing to me that Galileo saw and learned so much with a 1-inch objective mounted in a paper tube. London is blocking the objective end here, but I had to pose him there for a reason. Here’s the same shot, five years earlier. 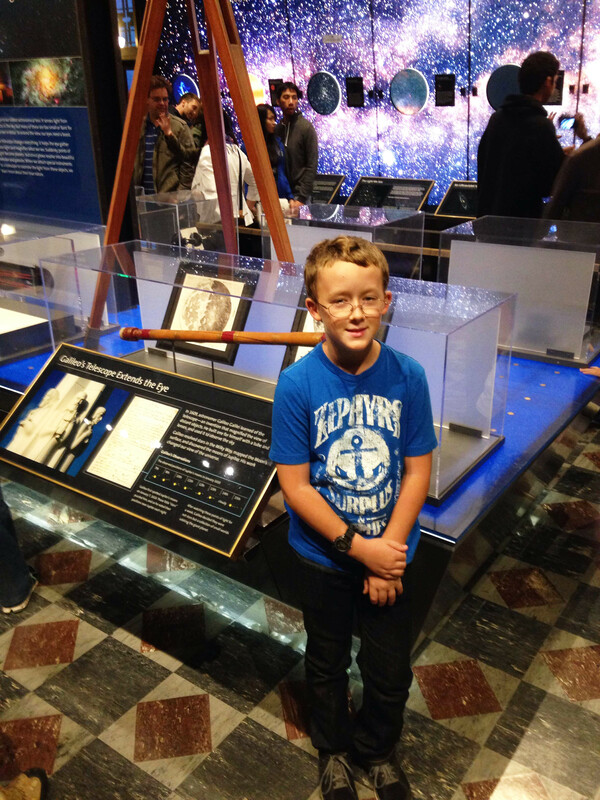 London was not quite five years old, and he was very excited about being at the “Griffick Ugzerbatory”. I didn’t realize until I checked the dates on the photos that that first visit was not approximately five years earlier, it was exactly five years earlier, on the first of November, 2009. Farther down the same hall, there is this miniature architectural model of the observatory. The three domes all house different things. The one on the west end of the roof, nearest the camera in this shot, holds the triple beam coelostat for live viewing of the sun. 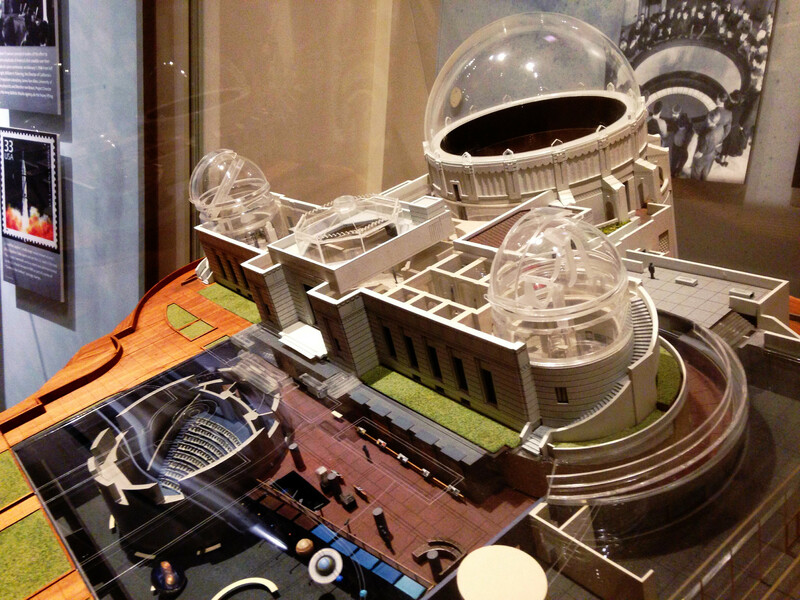 The huge middle dome holds the planetarium, and the dome on the east end holds the big 12-inch Zeiss refractor–you can even see a translucent miniature version of the scope in the model dome. And here’s the 12-inch Zeiss itself. 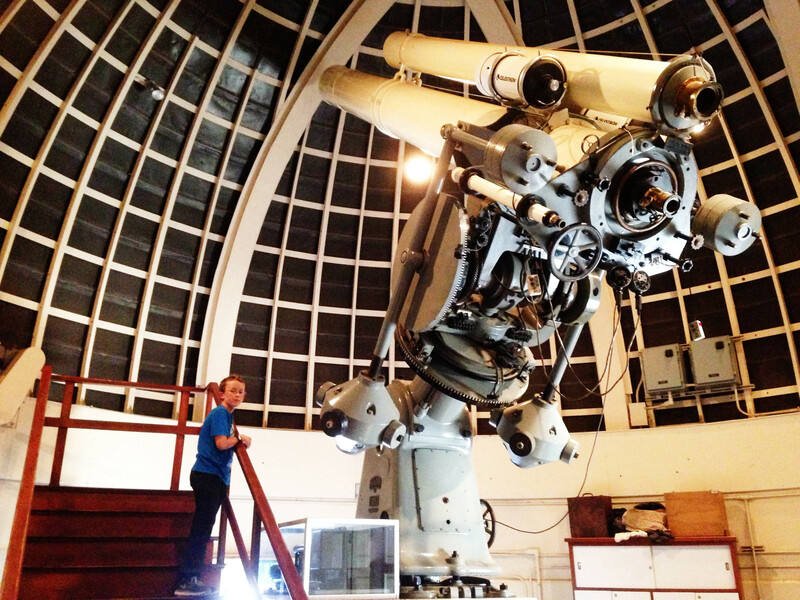 There are actually five scopes on the mount currently: the big Zeiss, f/16.7, at the center, a 9.5-inch f/14.8 Zeiss refractor piggybacked on top, a 2- or 3-inch finderscope on the lower left, and two 8-inch Celestron SCTs on either side. Originally the mount only held the 12-inch and the finderscope–you can see photos of it mounted that way on this page, which has a very interesting history of the scope and its uses. The 9.5-inch was added in 1955. The double refractors allowed one scope to be used for visual observation while the image from the second was sent to a closed-circuit TV. That job is now farmed out to one of the Celestron SCTs, which are much more recent additions. Here’s another view. The total moving mass of the rig is 9000 lbs, or 4.5 tons. We have gotten to look through the big Zeiss a couple of times, but we didn’t do so last night. There is usually a line with a wait time of about an hour. The way to beat the system is to be on the roof and near the east end at the moment that they open the dome and the line first forms–we have been lucky to be in that position once before. But last night we were in the middle of a planetarium show when the dome opened at 7:00, and we didn’t fancy standing around in the cold for an hour. Especially because there was a public star party on the lawn in front of the observatory, with about half a dozen scopes set up. There were long lines for the big scopes, but one guy had a 90mm Mak on an EQ mount that everyone seemed to be ignoring. 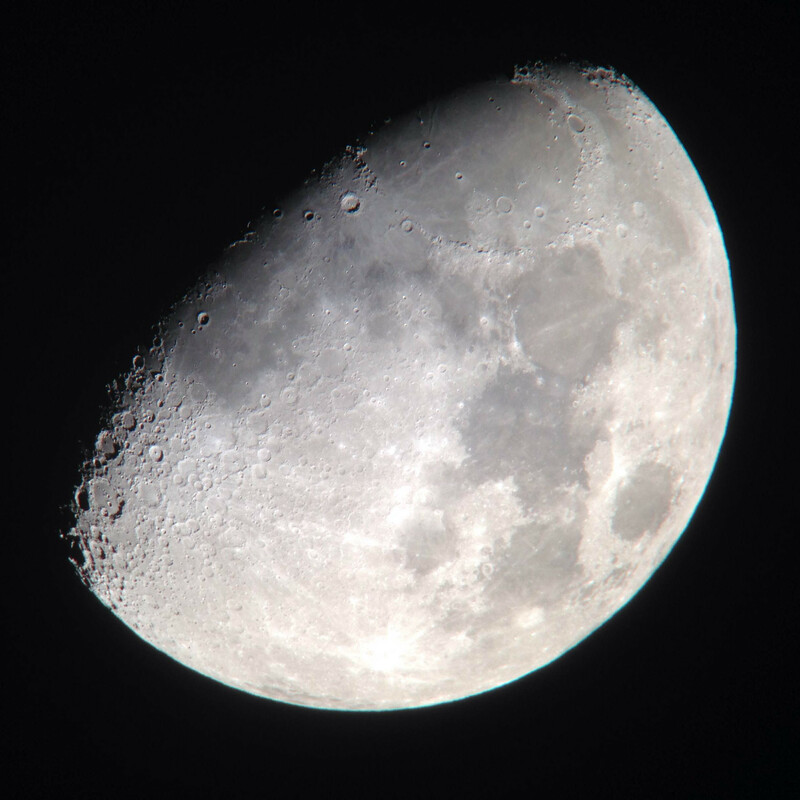 London and I got razor-sharp views of the moon through that little scope with no waiting at all. At home I hauled out the C80ED and the 8-24x zoom eyepiece for a quick look myself, and to make another photographic attempt with the iPhone. The two biggest challenges are getting the camera the right distance from the eyepiece, and getting the sensor fully illuminated without being overexposed. Through much trial and error I found that if I left the eyepiece cup up and stripped off only the outer layer of my 3-layer Otterbox phone case, I could rest the second layer of the phone case on the rubber eyepiece cup and have the phone at just the right distance. But that only worked perfectly with the zoom set to 18mm (33x), which is how I took this shot. There is some CA, but I’m pretty sure that was mostly from the eyepiece. If it’s clear tonight, I’ll try again with the ES eyepieces to see if I can isolate the cause of the CA. One thing I desperately need to do is get one of the iPhone apps that lets you control the ISO and shutter speed of the camera. As it is, I’m just using the camera as-is, so I’m constantly fighting with its auto-exposure and auto-shutter. There’s a delicate balance–if I don’t magnify the moon (or the filtered sun) enough, all I get is a featureless white spot. But if I magnify the subject enough to spread out the light and give the camera’s internal processes some detail to bite on, then it’s hard to get the object fully illuminated–I get vignetting, or kidney-bean blackouts, or both at once. 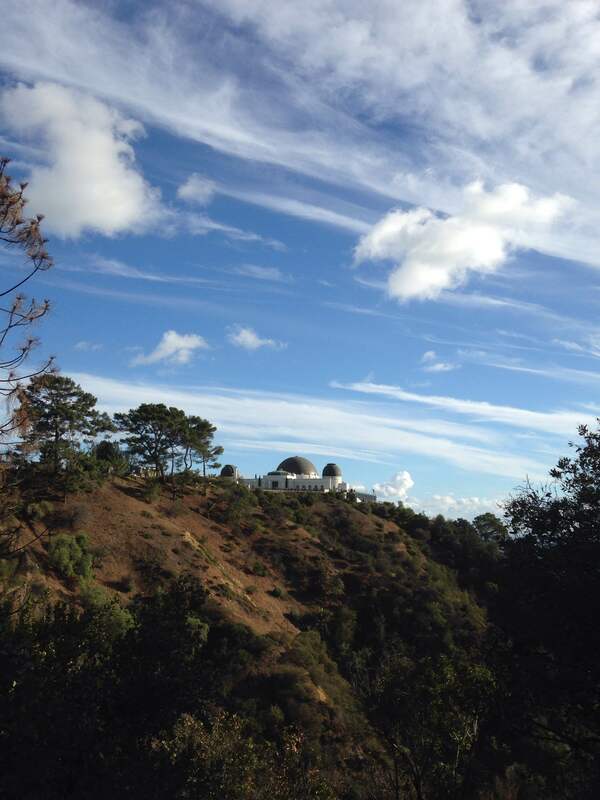 Eric Teske has a nice list of iPhone astro apps on his (ridiculously entertaining) blog–past time I started using them. Still, for a shot through an 80mm refractor with the came-bundled camera driver on my phone, I’m pretty happy. One thing I really like about the iPhone is the number and utility of photo-editing apps. The first moon image here is the raw shot, only reversed left-to-right to match the moon’s orientation in the sky. The one immediately above I processed in Snapseed: sharpened, contrast enhanced (using the ‘Ambiance’ tool), and desaturated to take out the CA. Given the relatively small number of GIMP features that I actually use, Snapseed is a fast and easy alternative. I’m going to keep messing with it and see how far I can go.